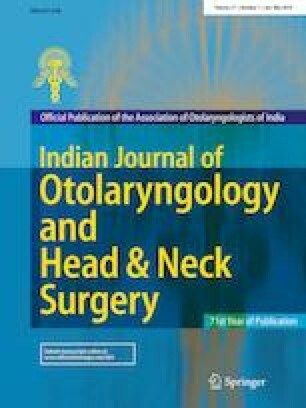 This is a prospective observational cross sectional study comprising of 57 patients who were having symptoms of chronic rhinosinusitis which were evaluated with the help of computed tomography scan (Coronal and axial sections) to identify various anatomical variants of osteomeatal complex and to find their percentage and to find the pattern of sinus involvement in chronic rhinosinusitis patients. The most common anatomical variation was agger nasi which was present in 52 (91.23%) patients followed by abnormal uncinate process in 43 (75.44%) patients and maxillary sinus was the most commonally involved sinus in CRS. All procedures performed in this study involving human participants were in accordance with the ethical standards of the institutional research committee of MGIMS, Sevagram and with the 1964 Helsinki declaration and its later amendments or comparable ethical standards. This study does not contain any studies with animals performed by any of the authors.